You'll never get bored in Big Sky, Montana. 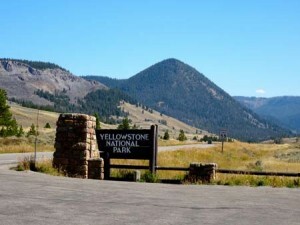 It's easy to spend the day hiking, biking, rafting, skiing, going on Yellowstone National Park tours, or doing just about anything in our big outdoor playground. When planning your next adventure you'll need to figure out how long it take to get from Big Sky to your favorite destination. Well this post is designed to help you answer the classic question: What's the distance from Big Sky to (Fill In The Blank)? We hear this question a lot so we thought we'd try to help you figure out the distance and length of time it takes to get from Big Sky to other popular places. The mileage and time provided below is taken from Google Maps and is based on a starting location near Ousel Falls Road and Highway 64 in Big Sky Town Center. It does not account for traffic or other delays, but hopefully it will help you figure out where you're going and how long it will take. Below you'll find the distance, time, and a link to a map for directions from Big Sky to popular destinations that are only a day trip away. This should help you answer the question, "What's The Distance From Big Sky To...?" We could go on forever, but hopefully this list of directions and maps will make it easier for you to plan your vacation. If you still have questions about what to do, where to go, or how long it will take explore Big Sky, we're here to help. 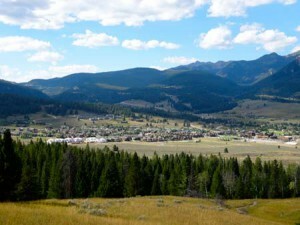 Check out the Visit Big Sky blog or stop by the Big Sky Visitor Center and ask our friendly team. 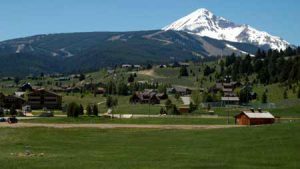 We're here to help you find things to do in Big Sky. Come and pick our brain about how amazing it is here!